Do you have a precious antique engagement ring that you want to sell? Don’t go to any jewelry shop come to us, because we will give you the best price in the market. Most dealers offer very poor cash for estate jewelry or precious heirlooms. They usually buy such pieces and melt them down for their silver content. The precious work that went into the piece will be lost forever. We do no such things because we value such items and consider them for their intricate beauty and craftsmanship. 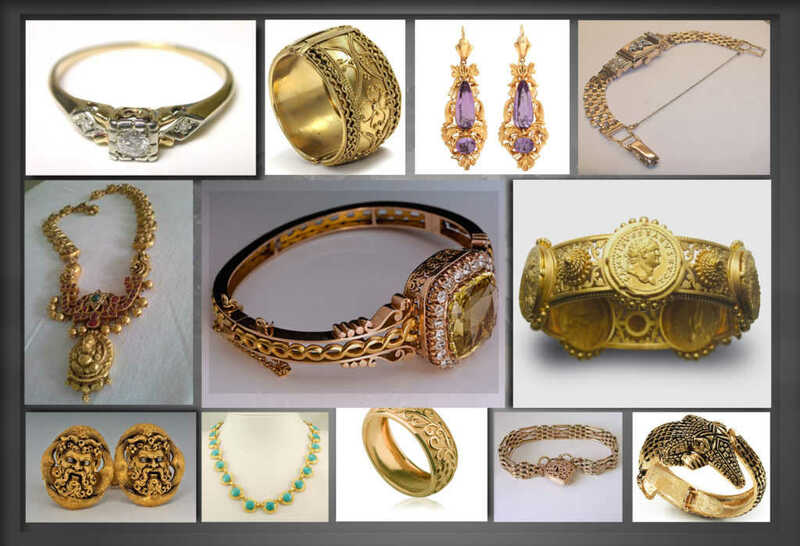 We are reputable antique gold buyers and have been in this industry for the past 22 years. We are headquartered in Sarasota, but you can also avail our services in Orlando, Tampa, Lekeland, Bradenton and St. Petersburg. By selling to us you can be sure of getting a good price on the item. Most people who come to us don’t know the real worth of their antique jewelry. This is because over the years, the jewelry’s metal assumes a dull luster. The stones in it are hardly shining and the design is not what a modern woman would want to match with her attire. However, we do not judge an antique jewelry piece just by it looks. We check out its manufacturer, period when it was made, design, quality of the metal used and many other such factors before putting a price on it. What looks like a very ordinary piece of jewelry is actually quite valuable and will offer a very good price in the market. That’s why you should never sell your antique jewelry to a regular jewelry shop. They just don’t have the time to do enough research on it and value it as it should be. We, on the other hand, look into basically everything about any jewelry item that we receive such as antique gold and diamond rings, turquoise necklaces, emerald chains etc. We are passionate about collecting the most valuable treasures of bygone years. Sometimes we just get one piece of an antique collection and at other items we manage to buy up entire collections, getting all the beautiful pieces that simply cannot be reproduced today. Many items such as antique gold necklaces, long chains, bracelets, topaz earrings or emerald rings have a very fascinating design. There have so much of hand work that is fabulous to look at. Many items are chunky prices that you don’t see people wear today because the focus is now more on lightweight and simple designs. Since the antique pieces are usually huge, intricate in their design and have a lot of embellishments, they have a very high value. There are many people searching for such ornamental jewelry pieces and are ready to pay the price for them. That’s why you should be careful in selecting the right buyer. Going to a pawn shop or a regular jewelry shop will not do. We, at Sarasota Antique buyers, know how to value such items and offer the best price in the market enabling you to get a satisfactory deal like nowhere else.